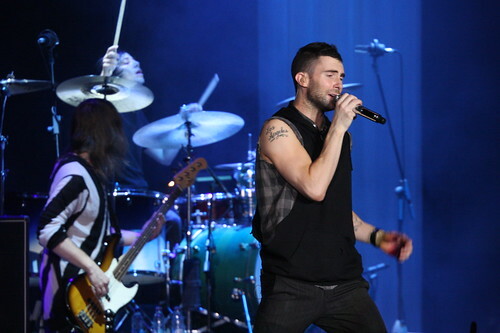 Maroon 5 perform a free concert Friday morning as part of the Today Show's Toyota Concert Series. Viewing is on a first-come, first-served basis outside of the show's studio on 49th Street at Rockefeller Plaza. Fans are advised to arrive by 6AM for best viewing. Click here for more info and the rest of the summer schedule which includes Flo Rida and Train (not together! ).